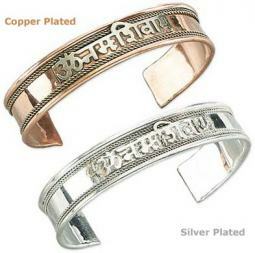 This Om symbol Bracelet features silver plating and are made in Nepal. Most of the metal in these bracelets is white metal, which is a little soft, and have been plated with silver so as to make them more attractive. 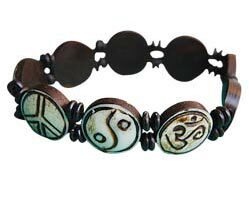 The Om Symbol on these bracelets represents the cosmic energy that permeates the universe - the energy that existed before time and from which the cosmos unfolded. 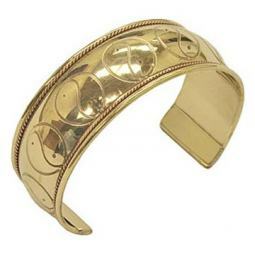 these Om Bracelets can be worn by either men or women, as they are bendable to fit most wrists.